We are a leading Manufacturer & Exporter of Electronic Board such as FPGA Boards, FPGA Board with Rocket, Virtex 5 LX20T FPGA Board, Spartan 3E FPGA Board, Virtex 6 FPGA Board, Altera FPGA Board and many more items from India. Having an expertise which encompasses the successful decades, we are offering our esteemed customers with a reliable range of premium quality FPGA Board for Semiconductor Industry. The range is made using premium quality material and it is acknowledged for its quality and durability. 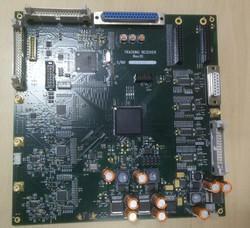 As per the exact specifications of the clients, we are offering Spartan 3E FPGA Board. 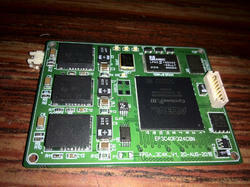 The given boards are available from us in customized options as per the detailed information of customers. These boards are developed with high end technology and finest material in compliance with industry norms. Our boards are acclaimed among customers for its sturdy design & quality. Additional I/O’s available : 7no’s. 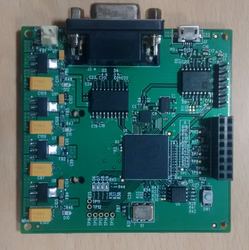 Designed to process the 8-bit data sourced by external ADC with clock frequency of 133 MHz . External ADC card is interfaced to board through connector. FPGA processes the data based on the instructions given through PC and processed data can be shared to PC through two communication interfaces such as RS232 and USB2.0. Isolation devices are used in communication interfaces to protect the board from external surges. 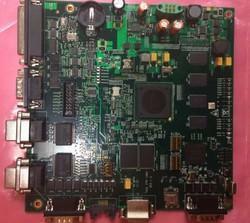 On board LVPECL oscillator is used to source the 100MHz differential clock for FPGA operations. It can be used in TDR applications. It will generate the pulses in to external cable and reflected analog wave is digitized using external ADC. 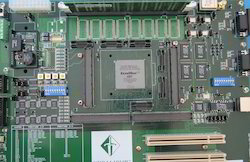 FPGA process the ADC output and fed to PC for analysis. 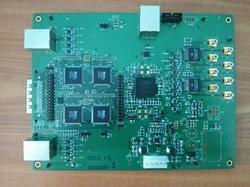 We are actively engaged in manufacturing, exporting and supplying an excellent range of Virtex 5 LX20T FPGA Board. Offered products are checked at our end on various parameters of quality in order to deliver a flawless range. These products are designed using best quality material keeping in mind the set standards. Furthermore, our products are available in several specifications to choose. 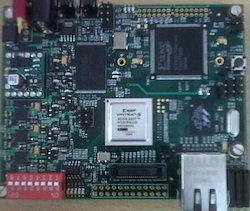 Development Board with Actel IGLOO Flash FPGA, ADC, DAC, MIL 1553. 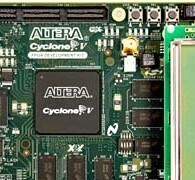 Looking for FPGA Development Boards ?